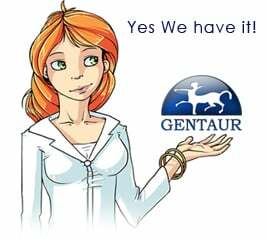 Gentaur antibody-antibodies.com The Marketplace for Antibodies : Degradation and deposition of amyloid AA fibrils are tissue specific. Degradation and deposition of amyloid AA fibrils are tissue specific. The complete amino acid sequences of two related AA proteins (Mr 9700 and 5300) derived from thyroid tissue from a patient, NOR, with the autosomal recessive disease familial Mediterranean fever were determined. Heterogeneity found at position 52 indicates these proteins are fragments of two allelic or isotypic SAA precursor molecules similarly degraded at unusual sites and deposited in the thyroid. Degradation appears to be tissue and/or enzyme(s) specific since the carboxy terminus of both fragments is Ala-Ala and is different from other AA amyloid fibrils extracted from various tissues in different patients. Electron micrographic studies reveal these fragments retain the characteristics of native amyloid fibrils under physiological conditions even after exposure to dissociating agents. A central role for dityrosine crosslinking of Amyloid-β in Alzheimer's disease. Immunohistochemical detection of haem oxygenase in AA amyloidogenesis. Novel glycosaminoglycan precursors as antiamyloid agents: Part IV. Novel glycosaminoglycan precursors as anti-amyloid agents, part III. Novel glycosaminoglycan precursors as anti-amyloid agents part II. Amyloid formation in the rat: adenoviral expression of mouse serum amyloid A proteins. Relationship between serum beta 2-microglobulin, bone histology, and dialysis membranes in uraemic patients. Characterization of proteoglycans associated with mouse splenic AA amyloidosis. A temporal and ultrastructural relationship between heparan sulfate proteoglycans and AA amyloid in experimental amyloidosis. A primed state exists in vivo following histological regression of amyloidosis.